With steadily increasing numbers of consumers using smartphones for internet searches, evident from our own website analytics, the way we all use the web is evolving. 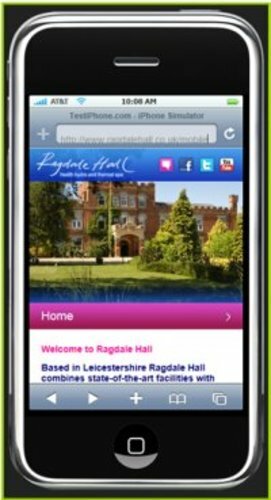 Google research shows that 79% of people now use their smartphone while shopping and therefore, as the UK’s leading spa we have created a Ragdale Hall mobile site. As with everything we do at Ragdale Hall, for example, our innovative treatment offerings, one of the top ten spas in the world for our fitness programme (as voted for by Spa Finder readers) we like to stay ahead of the game, and we are pleased to announce that we are the first spa to create a mobile site for our guests. This press release was distributed by ResponseSource Press Release Wire on behalf of Ragdale Hall Spa in the following categories: Women's Interest & Beauty, Consumer Technology, Media & Marketing, for more information visit https://pressreleasewire.responsesource.com/about.